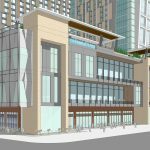 Q: Why is the hotel project so important? A: This project is important on so many levels. First and foremost as a job, revenue and tax generator of unmatched value for the city and state. 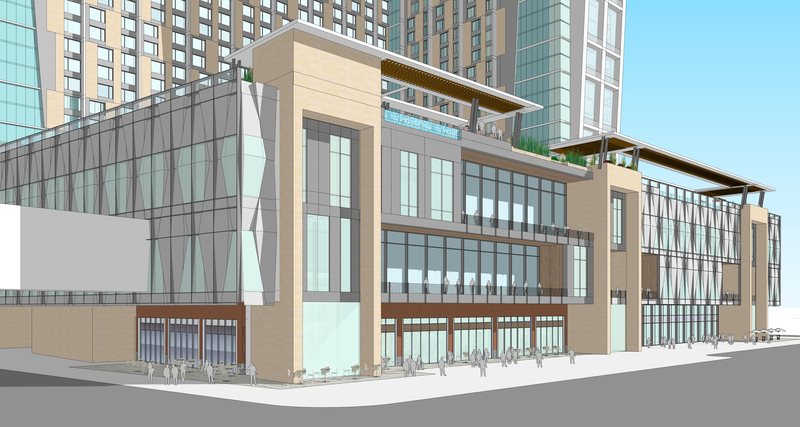 No other project currently underway or proposed will have the powerful economic impact of our hotel. 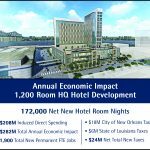 Second, New Orleans is woefully short of the number and type of hotel rooms necessary to continue to attract and grow major conventions and world class events like Super Bowls, Essence Festivals, NBA All Star Games and NCAA Final Fours that continue to fuel the local economy. These reasons very clearly point to why our plans are so important to the city and state. Q: Why are public incentives necessary to develop the hotel? A: The cost to construct and operate a hotel of the size and scope necessary to induce new demand will not generate enough revenues to finance without public support. 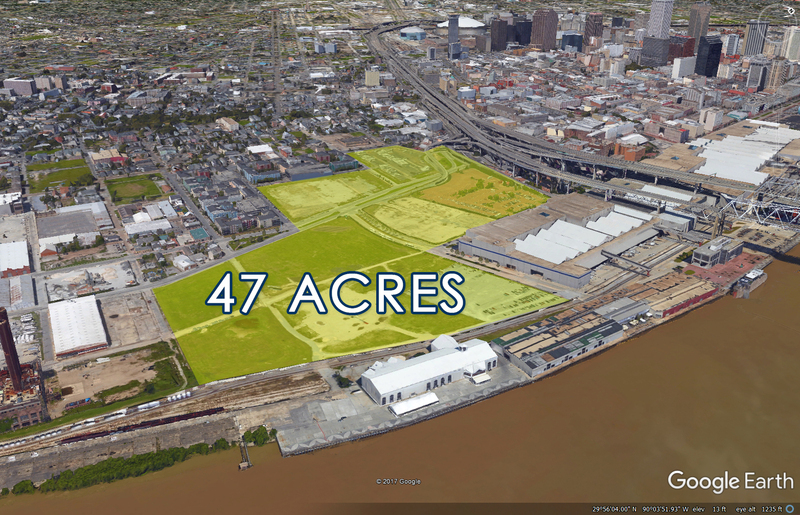 Underwriting with some level of limited public support is the model that has proven to be a wise investment by no less than 10 other cities that compete against New Orleans. Q: Why do some people say the proposed hotel deal is just a give-away to the developers? A: First of all, no agreement has been reached with the developers. Formal negotiations have not yet begun. Financing a project of the size and scope of the hotel is very complex but not unlike other economic development projects that create jobs and generate new taxes that governments support with a variety of incentives. 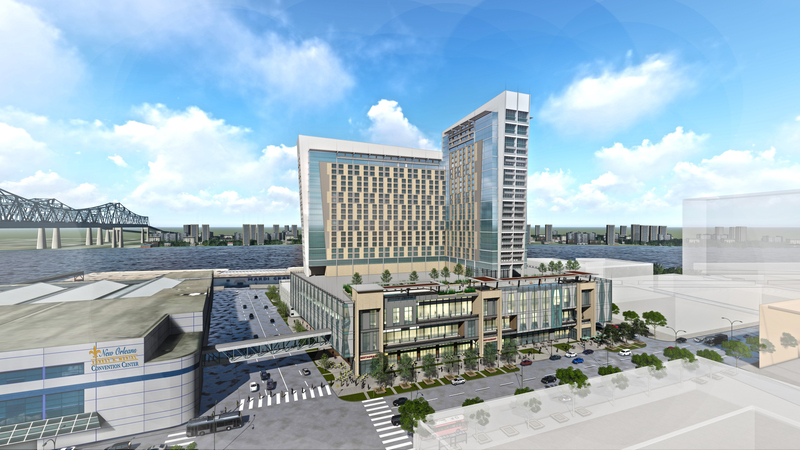 Without public support, the hotel could not happen. The ultimate deal will minimize or eliminate any risk to the state or city and when paid off the asset (hotel) will be owned by the Authority. 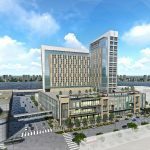 Q: What is the Governor’s position on the hotel project? A: The Governor fully supports the project but as expected wants the best deal for the state. 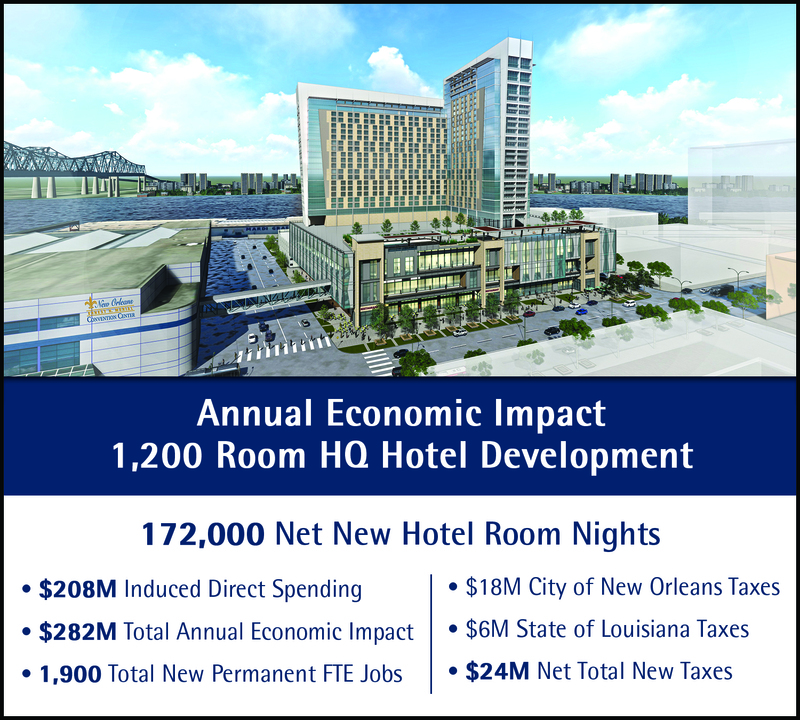 The Convention Center is an asset of the State and will have a greater impact for the State with the hotel and the City of New Orleans will reap most of the benefits.